If you love brownstone living but don’t always love the choppy layouts, then be ready to be amazed because this stunning parlor level floor thru home has a terrific open layout and one of the largest living rooms in all of the South End! 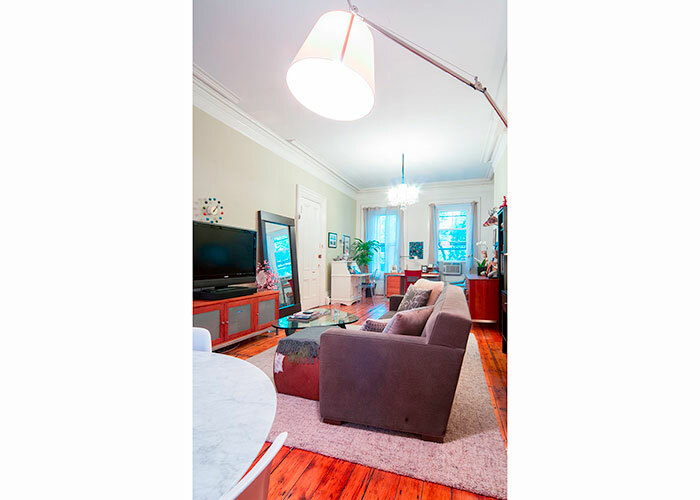 There is wonderful architectural detail throughout with high ceilings, crown molding, original hardwood floors and exposed brick all over-looking this picturesque quiet tree-lined street. There is a grand dining area in the open layout, making it really the perfect home to entertain. The kitchen has been beautifully renovated and boasts all of the must have amenities, including a dishwasher, garbage disposal, granite counter-tops and plenty of cabinet space. The bedroom is well-sized and has generous closet space, making storage incredible in this city home. Enjoy in-unit laundry and best yet – your own parking space! What a deal! It doesn’t get any better than living amidst all of the South End’s award winning restaurants, cafes, shops and this convenient location is just two blocks to the T. Hurry!